ISLAMABAD: Army Chief Gen Qamar Bajwa said on Monday that Pakistan was determined to expand its ties with Iran in all spheres and hoped that the two neighbours could collaborate for regional peace and security. 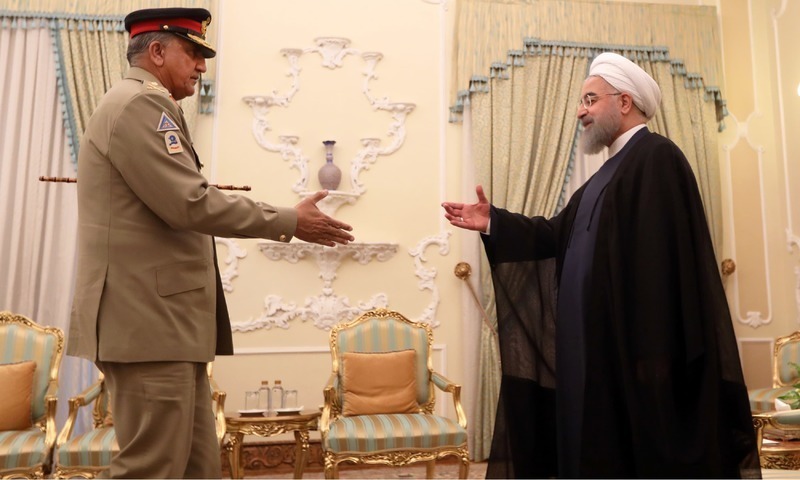 Talking to Iranian President Hassan Rouhani, Gen Bajwa, according to Iranian media reports, said that Islamabad wanted expansion of its military and defence cooperation with Tehran, besides promoting historical and economic relations and cooperation in other areas. Gen Bajwa is in Tehran on a three-day visit, the first by a Pakistani army chief in over two decades. The trip is being followed with keen interest in both countries. The army chief recalled the steps taken by Pakistan for improving security along the Pak-Iran border including the deployment of additional troops. The two countries share over 900km-long border, which is infested with criminal gangs, militants and drug traffickers. “COAS termed Pak-Iran border as border of peace and friendship and emphasised its better security management so as to deny its exploitation by the terrorists being the common enemy,” the ISPR said, adding that “both sides agreed to further the proposals for its formalisation”. Speaking about the disputes between the two countries, Gen Bajwa called for their resolution through dialogue. 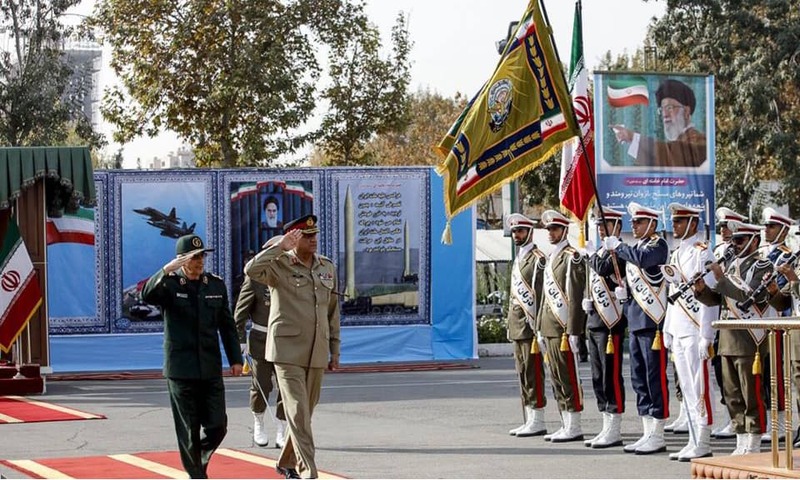 The general’s visit started with a ceremony during which he received a guard of honour from Iranian military. The ceremony was followed by delegation-level talks between the two sides during which bilateral and regional issues were discussed. Both sides also deliberated on the possibility of cooperation, especially in the context of emerging threats to regional security. 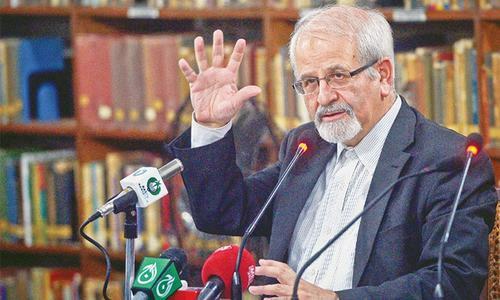 “They stressed the need for expanding defence and security relations in solving common issues, especially in identifying and countering factors that cause the spread of terrorism along the borders between Iran and Pakistan,” an Iranian newswire reported. The ISPR said the discussions covered “Afghan situation, growing threat of ISIS in the region and Pak-Iran border security”. Gen Bajwa and his host Chief of General Staff for Iranian Armed Forces General Mohammad Bagheri underscored the need for greater defence and security cooperation. The army chief recalled the defence cooperation in the past and said that similar collaboration in future had “great mutually benefiting potential”. Gen Bajwa later met Iranian Foreign Minister Javed Zarif. “The meeting between Zarif and General Bajwa was focused on political, economic and security issues, including maintenance of border security, fight against drug trafficking, terrorism and extremism,” Iranian official newswire IRNA reported. Mr Zarif reiterated Iran’s desire to meet Pakistan’s energy needs through gas and electricity exports. Where is elected representatives ?? Very good step in the right direction. We should have friendly relations to all our neighbors. @King Defending Nawaz Sharif and his family in courts. Very good direction for both countries. They must come together in all spheres benefiting each other. @King They have become irrelevant now. 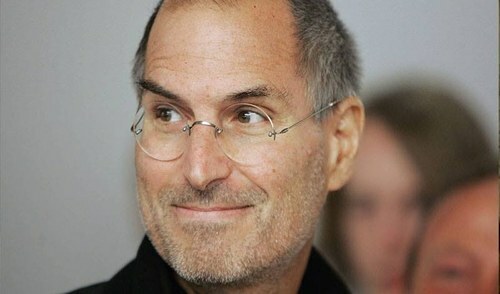 On the other hand, those who matter now will play their role for our country. If we get results, fine by us. Doesn't matter. The elected representatives have themselves to blame. After a long time, a good move on the foreign policy front. If the Foreign Minister won't do his job, there is no harm if the COAS fills the gap and takes an excellent, positive initiative that serves national interest well. @Syed Saad Ahmed all the time there was a serious issue, the matter was big time messed up from our side. Absence of a working and strong political setup is absolutely necessary to deal in such circumstances, it’s always bad news if it’s not a politician dealing with a politician from the other side in International relationship. All negotiations of ussr and USA on nuclear missile issues were conducted by specialized civilians and were successfully concluded.